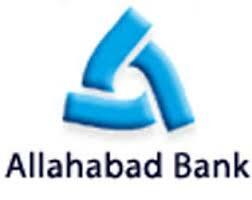 Allahabad Bank has informed that CRISIL vide their letter dated July 23, 2009 has reviewed and upgraded the rating of the existing Upper Tier II bonds (Series I) of Rs 500.00 crore, Subordinated Debt (Tier II Series V,VI,VII & VIII) aggregating to Rs 1961.90 crore and IPDI of Rs 300.00 crore (150.00 crore existing and 150.00 crore proposed) from AA/Stable to AA+/.stable. Further, CRISIL vide their letter dated July 24, 2009 assigned the rating of AA+/Stable to the proposed Subordinated Debt (Tier II Series IX) Bond of Rs 450.00 crore and Upper Tier II Bond of Rs 500.00 crore. Credit Analysis & Research Ltd (CARE) has also assigned CARE AA+ rating to the proposed Subordinated Debt (Tier II Series IX) of Rs 450.00 crore.